AUSSIE RULES, the sire of Group 1 winner Fiesolana, was put down at Lanwades Stud on Friday after a short illness due to a tumour. He was 13. The son of Danehill was trained by Aidan O'Brien to win a 6f maiden on his debut at the Curragh before rounding off his two-year-old season with victory in the Group 3 Somerville Tattersall Stakes. At three, Aussie Rules went on to win the Poule d'Essai des Poulains by half a length and the Grade 1 Shadwell Turf Mile at Keeneland. Aussie Rules began his career at Coolmore, where he spent five seasons, before being purchased in late 2011 by Lanwades Stud and Faisal Salman's Denford Stud. Leading performers on the racecourse by Aussie Rules are headed by Fiesolana, whose biggest victory came in the top-level Matron Stakes, Group 3 winners Djumama, Duck Feet and Hard Ball Get, as well as Listed scorer Dinkum Diamond. Aussie Rules was bred by Salman out of the Alzao mare Last Second, who won the Sun Chariot Stakes and Nassau Stakes. Last Second was bred by Lanwades Stud, and Aussie Rules hails from the operation's brilliant family descended from blue hen Alruccaba, who produced eight winners headed by Listed winner Alouette, dam of champions Albanova and Alborada. Alruccaba, who is also the granddam of top-class fillies Quarter Moon and Yesterday, was bought by Lanwades Stud's Kirsten Rausing and Sonia Rogers for 19,000gns in 1985. "We are greatly saddened at the tragic loss of Aussie Rules," said Lanwades Stud owner and general manager Rausing. "He was a lovely, co-operative horse to work with, and his enthusiasm and zest for life makes his loss all the harder to bear for all of us who knew him. His name will live on through his many successful racing progeny." Aspen Colorado remains 12/1 unchanged with Paddy Power for the Champion Bumper at Cheltenham after his workmanlike win in the concluding TRM Excellence In Equine Nutrition (Pro/Am) Flat Race at Leopardstown. The Galileo gelding added to his course and distance gains from January, again with Sarah O'Brien in the plate in the J P McManus colours. Promising newcomer Brelade put it up to him, but Aspen Colorado had half a length in hand at the line with an eleven length gap back to The Sneaky Punter in third. "He won nicely," said Joseph O'Brien of his father Aidan's winner. "He idled in front. It's nice to get that out of the way. "J P and Frank (Berry) will decide next week. He'll get an entry for it tomorrow (the Champion Bumper). "We'll see how he comes out of the race and we'll go from there. "I'd be very happy to go but I'd also be happy to wait and go for something else." OUIJA BOARD, whose mating with Galileo produced 2014 Derby winner Australia, is set for a return date with Coolmore's seven-time champion sire. The 15-year-old daughter of Cape Cross, who carried the colours of her owner-breeder Lord Derby to win seven races at the highest level, is also responsible for Group 3 winner Our Voodoo Prince. Peter Stanley, brother of Lord Derby and owner of New England Stud, said: "She's going to Galileo for very obvious reasons as we'd like to get a brother or sister to Australia. "Galileo and Dubawi are in a different league to any other stallion and their abilities to upgrade mares is quite extraordinary, so when you're lucky enough to have a mare of that quality and the mating with Galileo has worked well before, you have to repeat it." Australia's sister, the six-year-old Filia Regina who is in foal to Dubawi, joins a growing number of mares set to visit the Irish National Stud's standout stallion Invincible Spirit. "Invincible Spirit is a very good stallion and Filia Regina deserves to go to a proven sire who you know is going to get you a good horse," said Stanley. "Filia Regina is a very nice, good-moving mare who I'm quite excited by. The Dubawi pairing at the moment should be a mating that works very well." Stanley is yet another breeder to have purchased a share in France's red-hot young sire Siyouni and he plans to send two mares to the Haras de Bonneval resident. After Sea Of Blue's win in race two Aidan O'Brien doubled his tally at Dundalk as Ineffable proved best of his trio of runners to win the Download The Titanbet Sports App Handicap. Mick Hussey put up a pound 'over' at eight stone seven, after flagging up the possibility of riding at two pounds up, and in the end he got 10/1 shot Ineffable home by a short head from well-backed 9/2 chance Lex Talionis. A Ballydoyle stable companion to the winner, Stone Mountain, headed the betting and he ultimately ended up in a close up fourth position. Joseph O'Brien said: "He'd a great run the last day. Stone Mountain went up 7lb, and this horse was getting a lot of weight today. Mick gave him a great ride. "I think he'll handle grass, and he stays well." The Stewards interviewed M.C. Hussey, rider of Ineffable, concerning his use of the whip in the latter stages of this race. Evidence was heard from the rider concerned. Having viewed a recording of the race and considered the evidence the Stewards were of the opinion that M.C. Hussey was in breach of R10(3)(f) by using his whip with excessive force and frequency. Having taken his previous record into consideration the Stewards suspended M.C. Hussey for 2 racedays. With top-weight Rock On Rosie's defection from the titanbet.co.uk Handicap on account of an allergy, first-reserve Sea Of Blue got her chance. 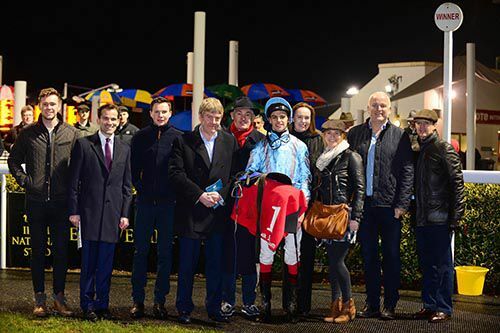 Aidan O'Brien's filly duly made the most of her opportunity in Dundalk's second under Seamie Heffernan. The Fastnet Rock filly was shedding her maiden tag here on attempt number sixteen, and she was one of a number with chances when they fanned out across the track two furlongs out. However not many could raise their game from the furlong pole and in the end 9/1 chance Sea Of Blue saw off Zorba The Greek by two lengths. They left Danequest three and a half lengths back in third. Gold Not Silver, the gamble of the contest, into 4/1 joint favouritism, could manage no better than sixth. Joseph O'Brien, representing his father, said: "She ran well here a few times and has had a little break. She is what she is but it's nice to get a win as she has a good pedigree. "She will probably be covered this year, and it would be great if she could win again." Ashford Stud, Coolmore's American breeding operation, has purchased the 725-acre Kentucky based stud Waterford Farm for a reported $10,135,072 million. Last week, deed transfers were filed with the with the Woodford County Clerk and the stud was purchased in two installments of more than $5m for the six tracts of land that make up the farm. For many years, the farm had belonged to the late Kathryn West, who's family had owned the estate since the 1880's. It developed into a strong breeding operation that bred top-class racehorses such as Chilukki and De La Rose. Speaking to the BloodHorse, Ashford Stud manager Dermot Ryan said: "Waterford is a historic property and a long line of top horses have been raised there over the years. The West family along with Mack Miller were top breeders that we hold in the highest regard. "We can only hope to be half as successful as they were with the property. On their visits to Ashford, I always enjoyed hearing their stories about racing and breeding as they were great gentlemen as well as great breeders. "The quality of the land speaks for itself and we are looking forward to our association with it in the future." FENCING MASTER, a former high-class two-year-old for Aidan O'Brien, is joining Hemel 'n Aarde Stud in the Western Cape of South Africa after spending his first years at stud in Zimbabwe. The nine-year-old is a first-crop son of Oratorio, the sire of seven Group 1 winners who stood at Coolmore until his sale to Avontuur Stud in South Africa in 2012. Fencing Master's first Zimbabwe-conceived runner in South Africa, the Glen Kotzen-trained two-year-old colt Mount Keith, finished second on his debut at Kenilworth in December. Coolmore bought Fencing Master - a half-brother to Prix de Diane runner-up Millionaia out of Prix Saint-Alary winner Moonlight Dance - for €400,000 from the 2008 Arqana August Yearling Sale. O'Brien saddled him to win a Dundalk maiden on his debut and to finish second to Beethoven in the Dewhurst Stakes on his second start, giving Oratorio a one-two in the prestigious Group 1. Fencing Master's best effort at three came when finishing seventh - beaten four lengths behind Makfi - in the 2,000 Guineas. He is currently in quarantine for 60 days before travelling to his new home at Hemel 'n Aarde Stud, also home to stallions Alado, Rock Of Rochelle and Time Thief. THE announcement that besieged mining company Anglo American is selling its Hunter Valley coal assets has not eased concerns over future mining threats to major stud farms. Among the assets Anglo American has placed on the market are a cluster of marginal Australian coal mines and, most importantly for the breeding industry, the Drayton and Drayton South holdings that border Coolmore and Darley. The loss-making miner sold $2.1 billion of assets in 2015 and wants to offload at least another $3 billion of assets in 2016. "We have deemed all of the coal assets in Australia as non-core," Anglo American chief executive Mark Cutifani said on Tuesday. Anglo, which posted a $5.6 billion loss in 2015, will also seek to sell its iron ore, phosphate, nickel, manganese and niobium assets to concentrate on diamond mining, platinum metals and copper mining. Anglo said the sale process was underway, raising concerns among Hunter Valley breeders that another miner such as Rio Tinto or BHP Billiton could secure the Drayton and Drayton South sites. The Hunter Valley Thoroughbred Breeders Association fears that a new Drayton owner will receive approval from the NSW Government to proceed with extensive open cut mining projects that would threaten the future of the Coolmore and Darley operations. The HTBA has again called on the NSW Government to formally refuse to grant approval for a mine on the site. "This is a mine that has been found, on three occasions, by the independent Planning Assessment Commission to be inappropriate, and based on the most recent review, that no amendments or modifications could justify it proceeding," said HTBA president Dr Cameron Collins. "We call on the NSW Government to put an end to all the uncertainty and act on the recommendations of the PAC to refuse the Drayton South mine proposal and to implement reasonable exclusion zones and buffers beyond which mining cannot reasonably occur." "The assessment of Anglo's Drayton South proposal has been dragging on for the better part of five years. "It is time the NSW Government brought this matter to an end and provided the clarity and certainty the region needs so that sustainable industries like ours can continue to grow, generate employment and invest in the future with confidence. 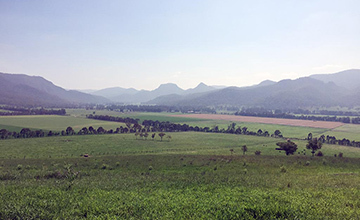 "It is incumbent on the NSW Government to draw a line under this matter and make it abundantly clear that an approval for a mine on this site will not be granted." In its most recent report on Drayton South the Planning Assessment Commission recommended that the application for an open cut coal mine should not proceed. The PAC could not find any practical mitigation option or management measures to mitigate the impact of a mine on the surrounding community and questioned the arguable economic benefits of the proposed mine. The PAC was also of the opinion that the Equine Critical Industry Cluster in the Hunter Valley needs to be valued and actively protected to ensure the long-term sustainability of the thoroughbred breeding industry in NSW. Aidanobrienfansite Mythical 2000 Guineas from Aidan O'Brien on Vimeo. MARKUS JOOSTE is one of those people with the midas touch, his foray into the racing game being no different. The multiple South African champion owner is now setting his sights on Europe, where he has already begun to make his mark. 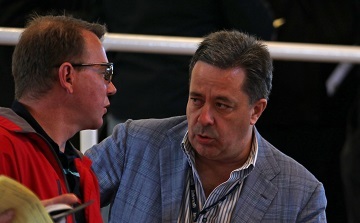 In August 2014, the chief executive of Steinhoff International, one of the world's largest furniture manufacturers, caught everyone's attention at Arqana's yearling sales when his racing adviser Derek Brugman, with Peter and Ross Doyle, went to €1.1 million for a son of Invincible Spirit out of Prudenzia. In addition to securing the second highest price at the auction, Mayfair Speculators - a Jooste-led partnership of business associates - signed for a further three yearlings during their time in Deauville, spending a total of €2.62 million during the first two days, signalling their intentions in the northern hemisphere. Last year, they struck up strategic partnerships in Europe with Coolmore, China Horse Club and Qatar Racing among others, with 20 yearlings and one foal going their way in the sales ring. Jooste spent particularly big at Book 1 of the Tattersalls October Yearling Sale, signing for 13 lots in conjunction with the Doyles for a sum just short of 5,000,000gns. 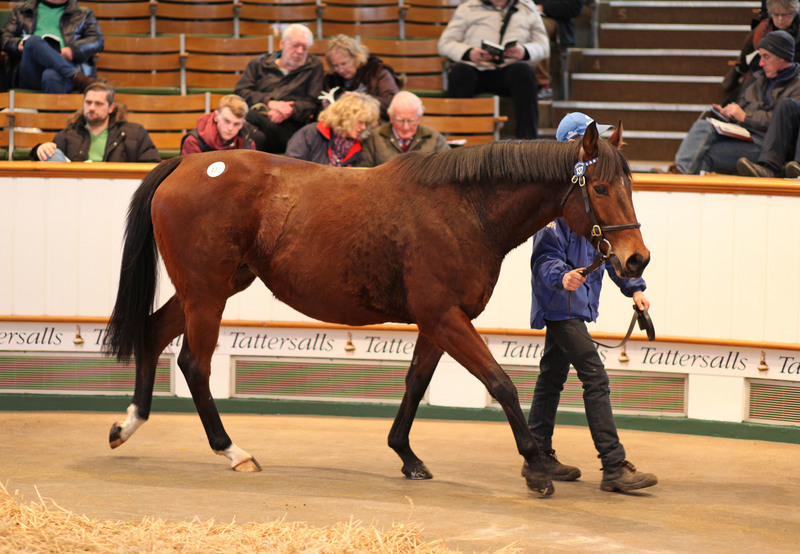 The big-money haul was headed by a 650,000gns Sea The Stars half-brother to dual Group 1 winner Shareta. From a young age, Jooste, who together with his wife Ingrid and their three children keep a very low profile, has always had an interest in racing, describing his father as a committed punter. However, it was more the love of the horse that eventually led him to enjoy success at the highest level very early on as an owner. "National Emblem was one of the first horses I was associated with in the early 1990s with some friends, and he is probably the cornerstone of my involvement in racing today," says Jooste, 54. The winner of three Group 1 races, the son of National Assembly retired to stud and went on to supply Group 1 Al Quoz Sprint scorer and Nunthorpe Stakes runner-up Shea Shea, who like his sire was bred by Klawervlei Stud. Jooste was quickly bitten by the bug, and today he counts interests in more than 200 horses across the world. Last season he owned the top-rated juvenile, three-year-old and older horse in South Africa, in addition to winning seven races at the highest level. He has also become a keen breeder and is a partner in Klawervlei Stud with its original owner John Koster, in addition to close friends Bernard Kantor and Chris van Niekerk. They own around 260 mares together, the progeny of which are offered at auction every year. 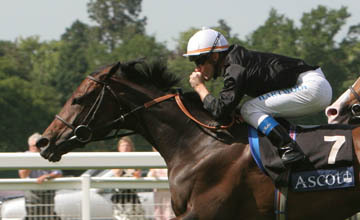 The operation, which recently celebrated their second leading South African breeders' title, also stand reigning champion sire Captain Al, as well as ten other stallions, including Twice Over, whose first yearlings are on the ground, and multiple top-level winner Variety Club, a son of Var raced by Jooste. "Variety Club's achievements have been my best racing memories," says Jooste. "It was astonishing what he did in Hong Kong and Dubai, not only for us, but for our country as well. The ultimate dream for me in this industry is to own and breed a champion, having raced both the dam and the sire. I feel these are long-term goals that we are now starting to reach." Variety Club, who retired to Klawervlei Stud last season, was subsequently unable to complete the breeding season due to an accident, but he should return to the covering shed this year. Outside South Africa, Jooste, along with several business partners, also stands Delago Deluxe at Newhaven Park Stud in Australia. The first yearlings by the son of Encosta De Lago were well received at the Magic Millions Gold Coast Yearling Sale last month, selling for up to A$250,000. He also owns several mares in partnership with Arrowfield Stud owner John Messara, one of whom is triple Grade 1 winner National Colour, who chased home Borderlescott in the 2008 Nunthorpe Stakes. In addition to his breeding ventures, Jooste has also established Cape Thoroughbred Sales together with a group of leading stud owners and associates, while also creating Africa's richest race for sales graduates, a $1m contest run at Kenilworth. Last month, the premier yearling auction at Cape Thoroughbred Sales played host to significant investment from several of Jooste's new business partners and other international buyers, including Coolmore's MV Magnier, who signed for part-ownership of the record-breaking sales topper, a R6 million (£254,538/€326,746) son of Silvano. "Our aim in Europe is a bit different to what we have created in South Africa," says Jooste, who recently clinched his eighth consecutive owners' championship. "We are delighted to have been invited by Coolmore to be partners with them in several horses, and the focus for us is really enjoyment and quality. "We haven't sat down and discussed specific targets, but we are looking at a lot of things together. My son Michael also spent last summer there as well as travelling with MV Magnier and Paul Shanahan to the sales. I feel we can learn a lot from them." JOOSTE adds: "We're just taking baby steps at the moment, and in addition to these partnerships we are slowly building up a nice string of our own, notably with William Haggas and Richard Hannon in Britain as well as Andre Fabre and Nicolas Clement in France." One of their first yearling purchases at Deauville, a daughter of Monsun named The Juliet Rose, looks to be one to note this year after breaking her maiden by three and a half lengths at Saint-Cloud in November. "She looks a nice prospect, but this game keeps you humble," says Jooste of the €650,000 purchase. "You must enjoy each success as you never know when the next one is coming. A maiden victory and identifying a horse with potential can be just as exciting as winning a big race." While Jooste also has an association with Ecurie des Monceaux, he does not rule out owning his own farm one day. "We have looked at a few options, as Bernard and I love Deauville. I spend a lot of time in France as [home furnishing retail chain] Conforama is one of our biggest business clusters, so maybe it would be nice to buy some land there in the future. "I think France has some of the most beautiful racecourses in the world, but I also really enjoy racing in Britain, Ireland and Germany. My ultimate aim would be to win the Prix de l'Arc de Triomphe, but for the moment just to have a runner in it would be very satisfying." GROUP 3 winner Wilshire Boulevard has been retired and will take up stallion duties at York Stud in Denmark at a fee of Dkr20,000 (£2,062/€2,680). 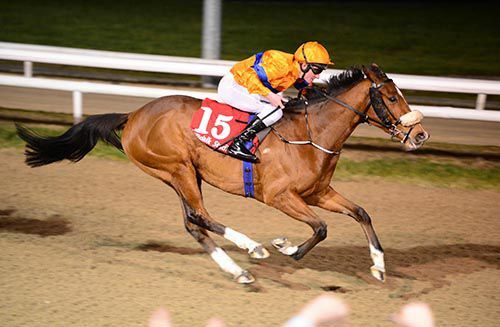 The five-year-old son of Holy Roman Emperor was first trained by Aidan O'Brien to win two races as a juvenile, including a 6f maiden at Navan before going on to land the Group 3 Anglesey Stakes at the Curragh. After finishing down the field behind Outstrip in the Breeders' Cup Juvenile Turf, he was transferred to the yard of Bettina Andersen in Denmark with his best effort when second in a conditions race at Klampenborg. Out of the the winning Machiavellian mare Tyranny, Wilshire Boulevard is a three-parts brother to last season's champion first-season sire Zoffany. 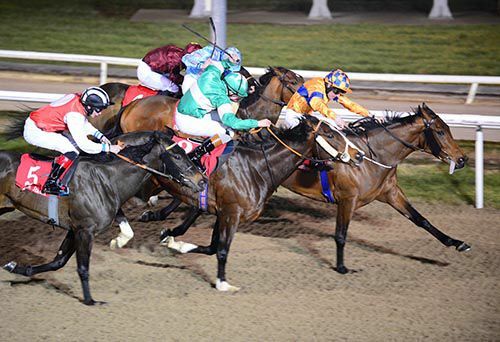 The silks of the Annus Mirabillis Syndicate were carried to their first success as Donnacha O'Brien doubled his score at Dundalk with his father Aidan's Stone Mountain landing the spoils in the Money Back 2nd At Titanbet.co.uk Handicap. Donnacha had won on Pat Shanahan's Split The Atom earlier but here he got Stone Mountain through a gap between horses around a furlong out. Favourite Spruce Meadows had looked a likely scorer at that stage but the O'Brien owned and bred 5/1 winner showed a good attitude and level of ability to come out on top by three parts of a length. Aidan O'Brien also supplied the third home, the Mick Hussey-partnered Ineffable, who ended up two and a half lengths further back. Head of the successful syndicate, Donal O'Mahony said: "The syndicate is made up of some people from the financial services and some who aren't. What binds us all is that we are racing enthusiasts. "We're delighted to be involved with Aidan. We have half a dozen horses and that's our first winner so we're all thrilled. 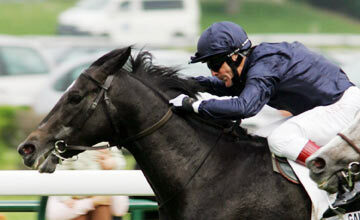 Former Ballydoyle Group 2 winner & Ashford Stallion Bianconi has died. BIANCONI, a classy sprinter for Coolmore who developed into a useful sire in Australia, has died at Ridgeview Park in Victoria after suffering a back injury. The son of Danzig was 21. A partnership including Ashford Stud bred Bianconi out of blue hen Fall Aspen, also the dam of Group/Grade 1 winners and sires Hamas, Fort Wood and Timber Country, and granddam of Dubai Millenium, Charnwood Forest, Medaaly, Elnadim and Mehthaaf. Bianconi was trained by Aidan O'Brien for Susan Magnier to win a Navan maiden by 13 lengths on his three-year-old debut and went on to finish fourth in the Irish 2,000 Guineas, second in the Phoenix Sprint Stakes and to score in the Group 2 Diadem Stakes at Ascot. After showing little at four, he was sent to stand at Ashford Stud in Kentucky. Bianconi made little impact as a sire in the US - Awesome Lady and Red Aspen were his only Graded winners from five crops - but he did much better in Australia, where he shuttled to from the outset of his stallion career and remained permanently from 2005. Standing at Swettenham Stud from 2000 to 2014, when he moved to Ridgeview Park, Bianconi sired Nicconi, a dual Group 1 winner in the Galaxy Stakes and Lightning Stakes, and Doomben Cup scorer Above Deck. Bianconi is also the broodmare sire of Dukedom, the surprise winner of this month's Group 1 Levin Classic in New Zealand. Phil and Fiona Sloane of Ridgeview Park said in a statement: "Bianconi was diagnosed with spinal cord damage, possibly due to arthritis, which left his back legs paralysed and could not get up. "Many thanks to Mike and Sarah from Bendigo Equine Clinic for everything they had done over the last 24 hours to try to save him. Thank you also to our tremendous staff for all your help. "Bianconi was a champion three-year-old sprinter in Ireland, Group 2 winner and Group 3-placed. "He has done a tremendous job at stud, covering more than 1,460 mares. From 911 starters he has had 560 individual winners at a 62 per cent ratio and over $36 million in prize-money. He is the sire of 19 stakes-winners and 31 stakes place-getters. "He still gets winners every week and his legacy will live on for a long time. RIP old fella, it was a pleasure to own you. Unsurprisingly, trade picks up with the first of the mares through from Godolphin. Emirates Joy, a Street Cry half-sister to the Group 1-placed Zip Top who sells in foal to Exceed And Excel to Paul Shanahan for 92,000gns. Mags O'Toole signs the ticket. THEWAYYOUARE, famed as the sire of UAE Derby hero and narrowly beaten Breeders' Cup Classic second Toast Of New York, will stand for one season at Gestut Romerhof in Germany this year. 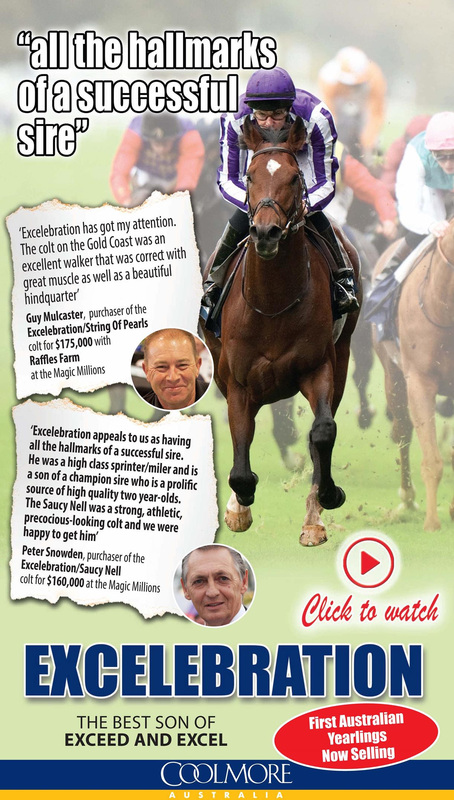 The 11-year-old son of Kingmambo has spent the past five seasons under the Coolmore banner in Ireland. His arrival in Germany comes weeks after the death of Campanologist, another son of Kingmambo who was standing at Gestut Fahrhof and had proved popular with the country's breeders. Toast Of New York is the highlight of Thewayyouare's three crops to have raced, but the stallion has also supplied Queen's Vase runner-up Tommy Docc and Group 3-placed Hug And A Kiss. Thewayyouare has also enjoyed a degree of success in Australasia from shuttling to Windsor Park Stud in New Zealand and his progeny there include New Zealand 2,000 Guineas third Prince Mambo. Gestut Romerhof's Michael Andree said: "Thewayyouare is due to arrive with us next week. Campanologist had a great start in Germany with his first yearlings selling so well, and the success of King Kamehameha in Japan has been phenomenal, so it is exciting to have a son of Kingmambo here. "It is an injection of new blood and speed, which should be a good addition to Germany. "He is arriving late in the year and there might not be many mares left at this stage, but I don't think there is a better bred horse than him around." Thewayyouare, a half-brother to outstanding filly Peeping Fawn, won the Group 3 Prix Thomas Bryon and Group 1 Criterium International at two for trainer Andre Fabre and owner Sean Mulryan. Wonderful start to 2016 as we hit 9,500 Unique Visitors that's 600+ More UV's than January 2015 - we keep growing thanks to our visitors.